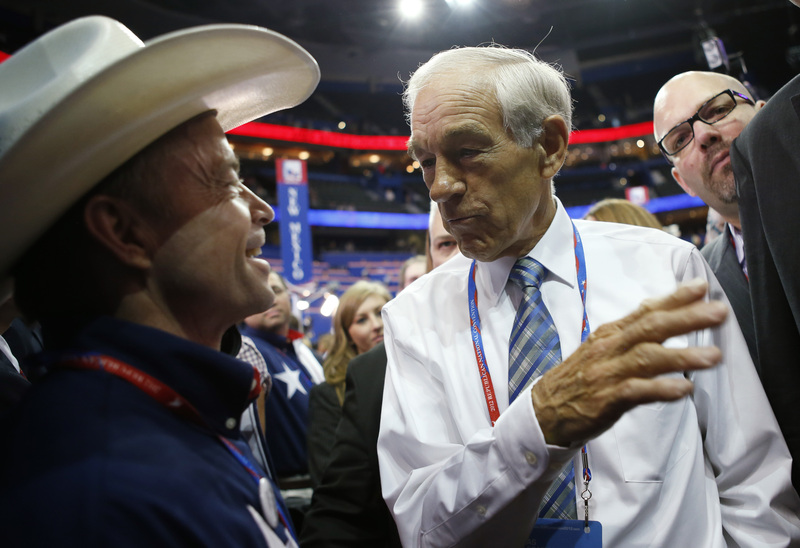 Tue., Aug. 28, 2012, 9:25 p.m.
TAMPA, Fla. (AP) — Feeling slighted, supporters of Texas Rep. Ron Paul’s presidential bid chanted and booed Tuesday after Republican convention delegates adopted new rules that could impede insurgent candidates in the future. The rules are designed to limit the ability of insurgent presidential candidates to amass delegates to future Republican conventions. They will bind delegates to the outcome of presidential primaries and caucuses, preventing a candidate like Paul from pushing up their delegate counts at state conventions. Paul delegates saw them as a power play by the Republican old guard. “If you’re trying to win a presidential campaign and put on a show, you shouldn’t poke a sharp stick in the eye of conservative activists. That’s what happened,” said Colorado delegate Dudley Brown, who leads a gun rights organization back home. Paul amassed 177 delegates to this year’s convention, even though he didn’t win a single primary. Paul briefly showed up on the convention floor, signing autographs and posing for photos. As he left the arena, he declined to say if he felt his delegates were being treated unfairly. “I’ll let you know when it’s over,” he said. Supporters of the new rules say voters expect the delegate count to reflect the outcome of state primaries and caucuses. The convention’s rules committee made slight revisions to updates they made last week before the start of the convention. “These rules will provide a strong governing framework for our convention and for our party,” said former New Hampshire Gov. John Sununu, who headed the rules committee. Mississippi Republican National Committeeman Henry Barbour said delegates shouldn’t let a rules fight distract from the goal of beating Democratic President Barack Obama. Published: Aug. 28, 2012, 9:25 p.m.